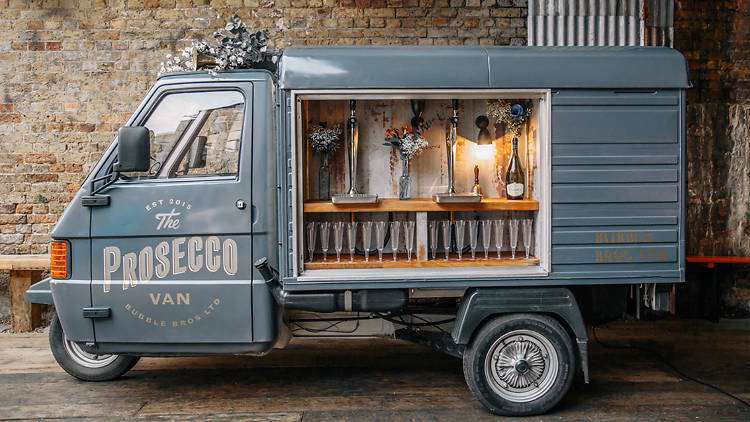 I became aware of the Prosecco Van by the Bubble Bros. (the company was founded in 2015 by 2 friends Ben Broad and Joe Bruce) through one of the 9,700 members of the closed group of Indian Wine Academy on Facebook. He sent me a short video of the van-a charming Piaggio Ape 50- the 3-wheeler customised vehicle that dispenses Prosecco from the tap connected with a keg. The mobility makes it possible to pour it by the glass at different locations for events like parties, banquets and weddings, just like a mobile food truck. What a simple yet great idea, I thought! When you are thirsty or slightly fatigued, a glass of Prosecco might be just the refreshing pick-me-up you need, and it’s a great way to promote the bubbly made from Glera grapes in the designated areas north-eastern part of Italy, according to the appellation laws. The van arrived in 2015 with the Bubble Bros pouring to the waiting lines of the thirsty and the curious. London was their city of calling in May this year and attracted a lot of attention. But something seemed to be a miss and it kept on nagging me- a couple of years earlier, I had heard of bars in UK serving Prosecco on the tap; if beer could be served, why not Prosecco, would be the logical reaction. But I know that Prosecco in both the appellations-doc and docg Protected Designation of Origin (since 2009)-PDO in the international parlance of EU laws, could be served only from the traditional bottles of pre-determined sizes and to the best of my knowledge UK followed the laws of the EU countries for labelling. I also knew that the Consortium had threatened to sue such bars. In fact, the UK Food Standards Agency has clearly laid out the specifications. In several cases, the bar owners already call their bubbly by other names that include the word ‘Frizzante’ (low pressure- sparkling ) which is allowed by the Italian laws- DP 1754 Frizzante is one such acceptable classification (where DP infers the popular term Draught Prosecco). Another interesting case in point is that of a Welsh couple who invested over Â£20,000 to get a similar van and ran into trouble with the law. 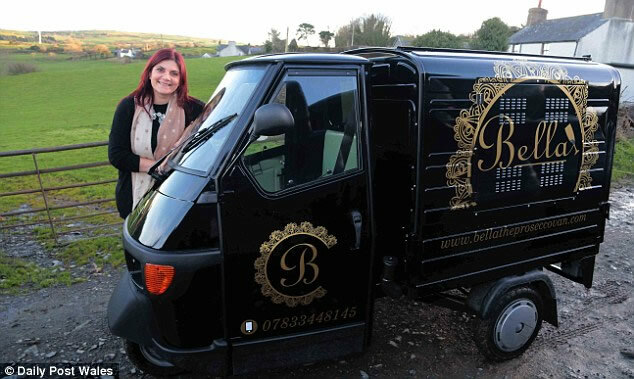 Earlier this year Caroline Roberts was ordered by the UK authorities to call her Prosecco ‘Frizzante 1754’ because she was offering it on tap rather than the bottle in a similar van called ‘Bella, the Prosecco Van’. She runs an Event Management company called Events by Caroline Louise and started using it as a travelling bar for various events, pouring Prosecco. She sources her bubbles from Conegliano-Valdobbiadene, the Prosecco docg producing area of north-east Italy. But she was told she must call it Frizzante 1754. The entrepreneur from North Wales was told to abide by the rules or face a prohibitive fine of â‚¬20,000. So next time you see the Bubbles Bros. pouring that bubbly from the tap, chances are they would call it Frizzante 1754. And if anyone is thinking of the idea of serving Prosecco by the tap, you may rest assured you would be hauled by the law enforcement agency of that country. In a related subject, a UK company had started Winebulance with great fanfare in 2013 with plans to expand to the USA; and also reported in delWine. It was meant to supply wine and liquor on emergencies at any time of the day anywhere. Although this concept would also be as illegal in India as the Prosecco Van, the idea apparently did not take off. Their website is not operational at all http://www.winebulance.com . An older video on YouTube directs you to the website www.threewisewines.co.uk clicking on which takes you to https://www.perkinswinetraders.co.uk. Winebulance or not, Prosecco Van or not, have a glass of Prosecco instead of coffee sometime and feel the difference.